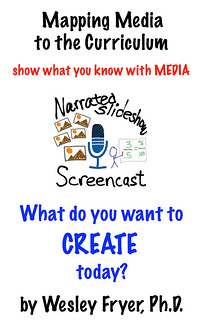 “Show What You Know With Media” is a book series and website created by Dr. Wesley Fryer to serve as a menu, handbook, and map for teacher-leaders and learners in the twenty-first century who seek to develop digital literacies as multimedia communicators and help students “show what they know with media.” * Mapping Media to the Curriculum (Volume I) explores the first six products in the framework: Interactive Writing, Narrated Art, Radio Shows, 5 Photo Stories, Visual Notetaking, and Narrated Slideshows / Screencasts. 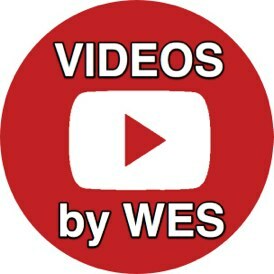 Videos in each chapter (hosted on YouTube) are directly linked for compatible eReaders and also linked via QR codes, so readers can optionally use a smartphone to view them. 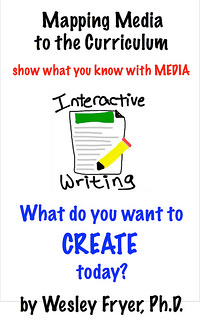 On the accompanying website (ShowWithMedia.com) and in the books, readers will find definitions, suggested workflows, suggested tools, and student examples related to each tool in the framework. Like a menu at a restaurant, the website and framework are designed to offer a broad view of available options teachers and students can utilize to communicate ideas and demonstrate knowledge, understanding, and skills. The Mapping Media framework is aligned to the ISTE NETS for Students as well as Common Core State Standards. 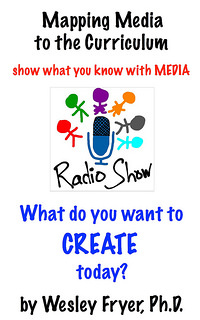 Educators focused on digital literacy and interested in students building digital portfolios to “show what they know with media” will find Mapping Media a gold mine of practical ideas. Purchase for $14.99 in three different eBook versions (ePUB, MOBI & PDF) so you can choose the format best for you. With your purchase from PlayingWithMedia.com you get instant access to all three versions. Each chapter of Volume I of Mapping Media is also available as a $2.99 “eBook Single” from the PlayingWithMedia.com eStore and from Amazon.com. This provides university professors/instructors as well as workshop leaders with more textbook / eText flexibility. Note purchases from PlayingWithMedia.com provide instant access to ePUB, MOBI & PDF versions. Links are provided below to purchase each eBook Single directly from PlayingWithMedia.com in 3 formats. Alternatively, use the links below to purchase these “eBook Singles” directly from Amazon in Kindle/MOBI format. 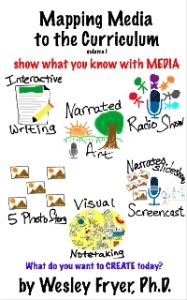 This 6.5 minute introductory video introduces the importance of “playing with media” and “mapping media” to the curriculum. Additional videos related to the Mapping Media framework are available in this YouTube playlist. Dropcard codes for purchased eBooks can be redeemed online. 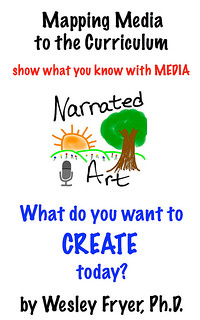 Additional videos relating to multimedia communication and the “Mapping Media to the Curriculum” products are available in the PlayingWithMedia.com Video Library. If you are looking for a way to up the ante, Mapping Media to the Common Core is an excellent book. I am going to be using it in undergraduate technology class for future teachers at Kansas State University. It is full of ideas, examples, resources and practical applications. 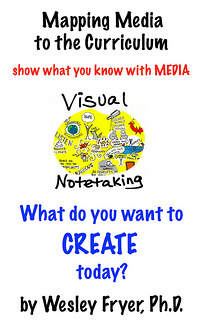 If you are a teacher and want or need to learn more, Mapping Media to the Common Core is perfect. It is a great professional development resource. I am already looking forward to the next part. As 21st century educators, we should to provide opportunities for students to demonstrate mastery and understanding of the curriculum not only with text but also with images, audio, and video. Dr. Wesley Fryer will invite and inspire you to become a better multimedia communicator and a pioneer with digital media in this dynamic presentation. Learn how to “expand the map” of assessment options in your classroom to include student products like narrated slideshows, enhanced eBooks including recorded audio, five photo stories with images, and more. Learn practical ways to overcome the anxiety and fear which often accompanies technology integration proposals by creating personal media products. Learn how to enhance your digital resume as a professional educator with examples of your own media creations as well as students projects you facilitate. 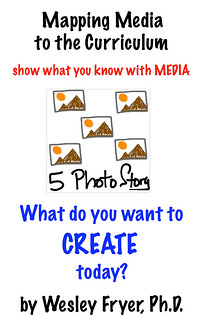 Links to student media examples as well as project storyboards/tools are available on maps.playingwithmedia.com. Please use this electronic contact form to inquire about Dr. Fryer’s availability to present for your conference, school or other educational organization. A cropped version of this photo of “Newspaper Rock” in Utah (used in the English WikiPedia) is used in the header of ShowWithMedia.com.The Waldseemüller’s 1507 World Map was used in the header of the previous “Mapping Media to the Curriculum / Mapping Media to the Common Core” version of this website.